Our service includes moving everything from small single items to large scale corporate removals, distributing goods from a single pallet to full loads, using our vehicles. 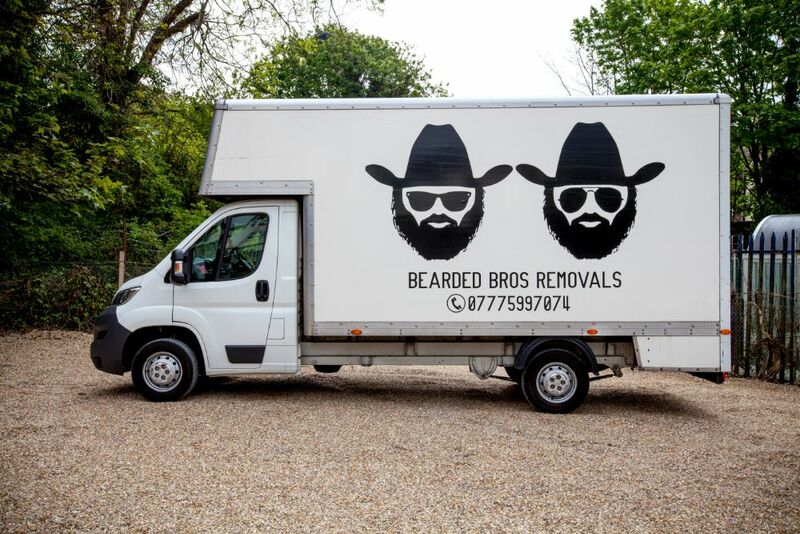 You can call us on 01273 917898 from 9am to 5:30pm on weekdays and 10am to 4pm on Saturdays, to receive a quote on a removal service or for helpful advice. We offer a reliable service at an affordable price. With our experienced staff being the cheapest in town Bearded Bro’s have built a shining reputation. 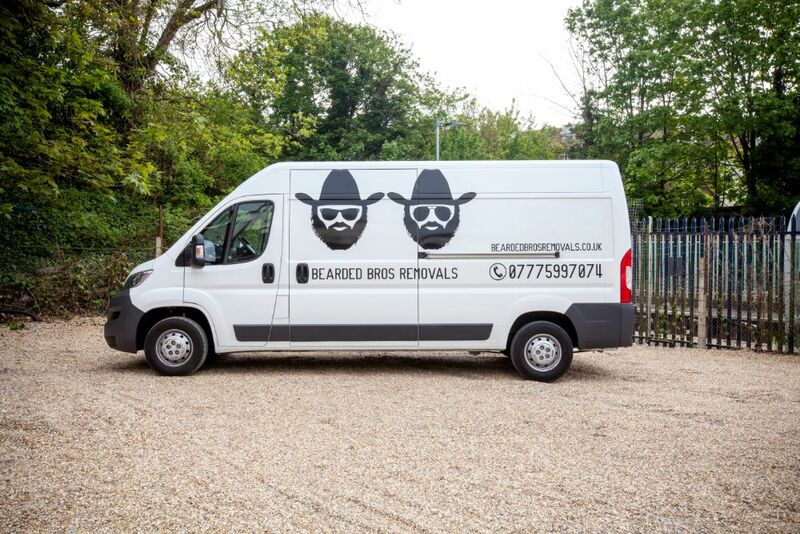 We have vans to provide for all your needs. All of our vans are equipped with sat navs, protective blankets, straps and trolleys to ensure all of your belongings are safely transported. If you require any further information about our services then please get in touch via the Contact Us section. Why not take 5 min to get a free quote and see what we can do for you? We normally charge an hourly rate, as this has proven to give the best value to our customers. You also have the option to ask for a free flat rate quote, keeping your removal as stress free as possible. No fuel charge will be added for local jobs in Brighton & Hove. For jobs in other areas a fuel charge will be added. Please contact us for a quote. Bearded Bros are working with GB Liners to offer two different types of storage. 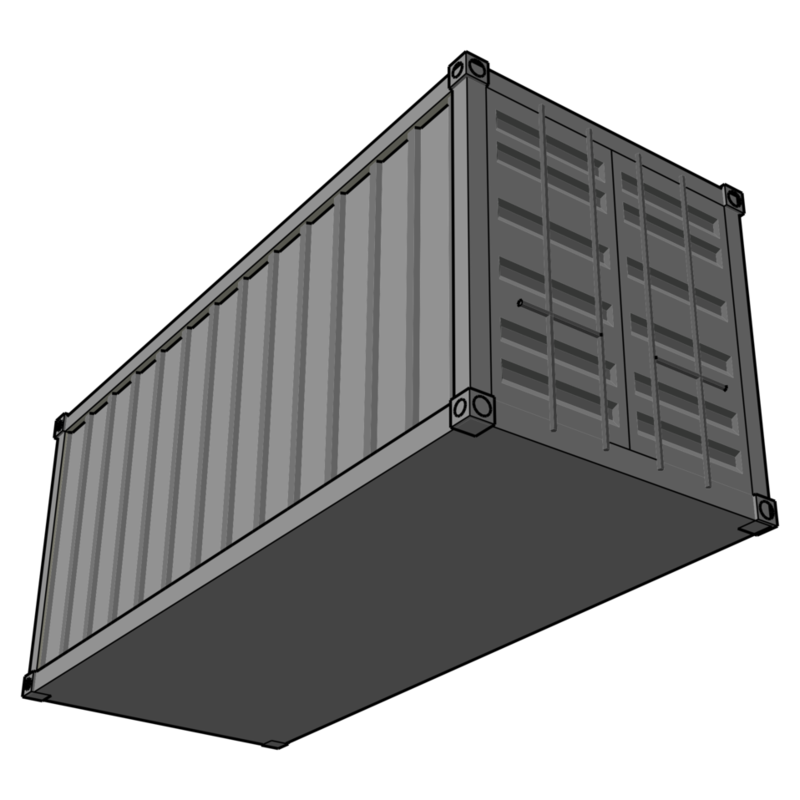 We have full and half storage containers available creating 150 or 75 square foot self-storage units. We can help you to choose the most suitable size self storage unit for your requirements. With a range of units from 16 square feet to 325 square feet theres a storage unit to suite everyone. We can help you to choose the most suitable size self storage unit for your requirements. The centre is secure, clean and dry. It is CCTV monitored 24/7 and just a minute away from Brighton Station, you can access your belongings whenever you'd like within the working hours below. For longer term storage where you require access less frequently you can save money by using our crated storage. Each crate has a volume of 250 cubic feet which is roughly the same size as a 30 sqft self storage unit. Because of the way the crates are stacked we require a 7 days notice period to access your items, an access fee will be charged. The centre is secure, clean and dry. It is CCTV monitored 24/7, and located around 5 minutes outside of Brighton, in Woodingdean. We cover all East Sussex and West Sussex area and we can move you anywhere in UK or Europe. Usually please try to book us between 5-10 days before the expected move takes place. However we will always try to accommodate last minute bookings. For European removals ideally at least 15 days notice. Please always try to give as much notice as possible. Does Bearded Bro’s charge VAT on services? Vat is included in all quoted prices, unless stated otherwise. Do you dismantle and re-assemble my furniture? Yes if agreed at the quotation stage our staff will carry out dismantling and re-assembling to the best of their ability. Gas cylinders or flammable liquids cannot be transported on our vehicles. Why should I use Bearded Bro’s? You can expect a first class service from the Brothers. We aim to leave every customer satisfied. Are my belongings fully insured? Moving House ? Visit Bearded Bros Boxes for all of your packaging needs.